Automated Systems can provide higher productivity for your Lancaster Mixers or other processing equipment. Lancaster Products designs and manufactures automated systems to control and automate your material storage, transporting and batching processes. Bulk material storage and automatic batching require less manual movement of materials and produce faster batching times, which means better labor and equipment utilization. Our systems result in a lower cost of materials, as bulk bag or truckload material prices are generally lower and the cost of purchasing and disposing bags is eliminated. Bulk material storage and handling usually requires less space than manual bag handling methods. Automatic batching produces a more accurate dispensing of materials and is more reliable than manual methods. It also can provide full batch traceability. Finally, a Lancaster System means less , less labor, less dust emissions into your plant, and less direct contact between your employees and materials – all providing a healthier, more pleasant, and more productive place to work. Lancaster Products can custom design an automated system to meet your material storage, transporting and batching processing needs. 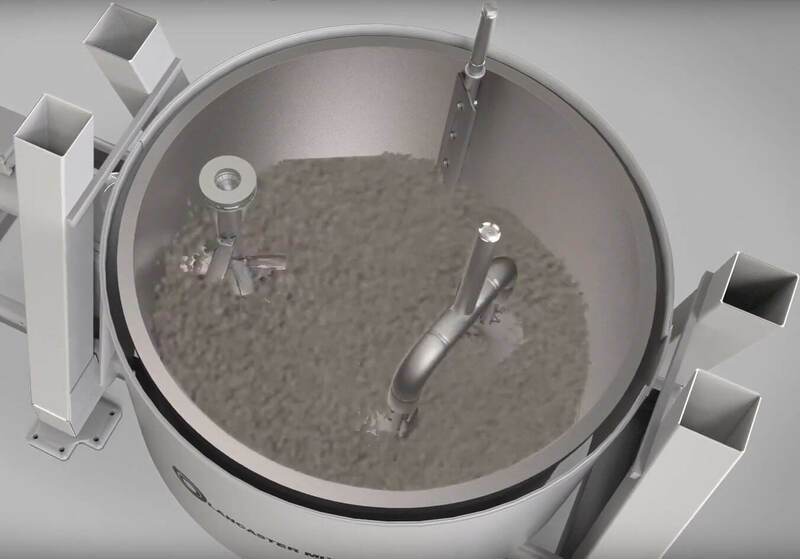 A custom system may be as simple as a day bin with a screw feeder and weigh hopper for the batching of a major ingredient. Other systems may be as complete as a multi-story batching tower with bulk silo storage, pneumatic material conveying, individual batching of all materials, real time inventory, and a computer printout of every batch for complete traceability for quality control. The photo above is a Lancaster System ready for transport from our manufacturing facility. Although most systems are assembled on the customer’s site, some systems can be fully assembled and shipped from our facility.